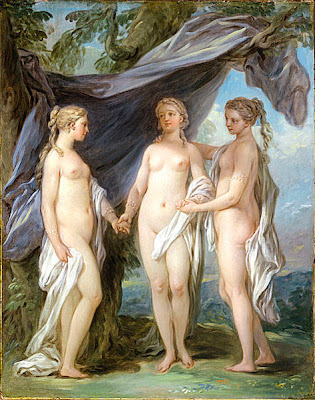 Les trois grâces 1763,Los Angeles country museum of art. CHARLES ANDRE DIT CARLE VAN LOO. This entry was posted on 24 octobre 2007 at 1:33 and is filed under Charles André dit Carle Van Loo 1705-1765. You can follow any responses to this entry through the RSS 2.0 feed. You can leave a response, or trackback from your own site.